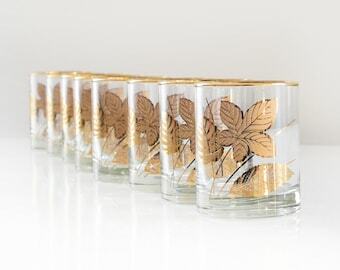 Fantastic 1960's vintage Dorothy Thorpe style roly poly glasses. 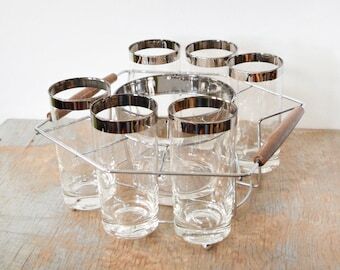 These six Mad Men style glasses have thick silver bands around the lip. 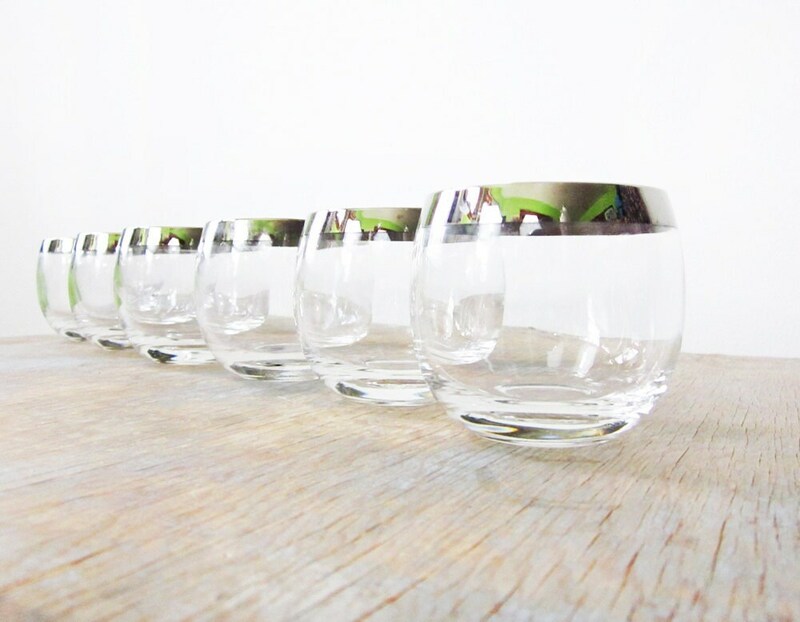 Heavy rounded and slightly indented bottoms, which makes it hard to tip them over. The silver is in great condition, with extremely minor wear on the silver, which is noticeable when held to light. No chips or cracks. Dorothy Thorpe inspired style, but definitely straight out of Don Draper's office. 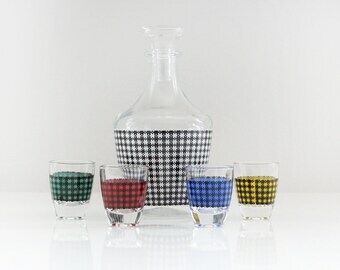 The listing is for one set of six ounce glasses. I do have a set of eight ounce glasses here, https://www.etsy.com/listing/538007760/silver-roly-poly-glasses-mid-century, please see the last photo for a size comparison. I am so happy with these glasses which exceeded expectations! Amanda was so helpful throughout the process and was a pleasure to deal with.